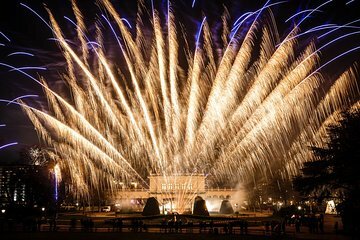 Welcome 2018 at Vienna’s Kursalon concert hall with the strains of Mozart and Strauss ringing in your ears. Choose between a New Year’s day or New Year’s Eve concert, and enjoy a night out in the opulent Vienna concert hall, which was beloved by the 19th-century aristocrats. The concert includes a program of classical music performed by the talented Salonorchester Alt Wien, and upgrade options include a 4-course dinner or a VIP package with the best seats in the house as well as other extras. Kursalon is a beautiful theater, but the musicians were lifeless and seemed to be in a bad mood. From all the concerts that I've seen in my trip to Vienna, this was the most expensive and the least enjoyable.